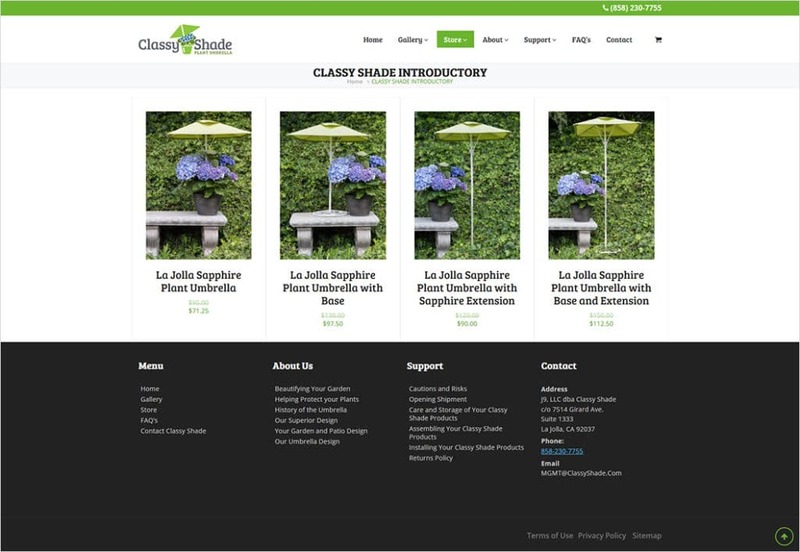 Classy Shade Plant Umbrella is a product designed and manufactured by a start up company in La Jolla California. The concept was developed to protect and help plants thrive in our increasing hot weather. The umbrella also protects plants from harsh rainfall and wind. Our goal was to design a brand that would build awareness, create an emotional connection, differentiate and build trust. We designed this e-commerce website around the brand with a look and feel that would appeal to their unique market niche. 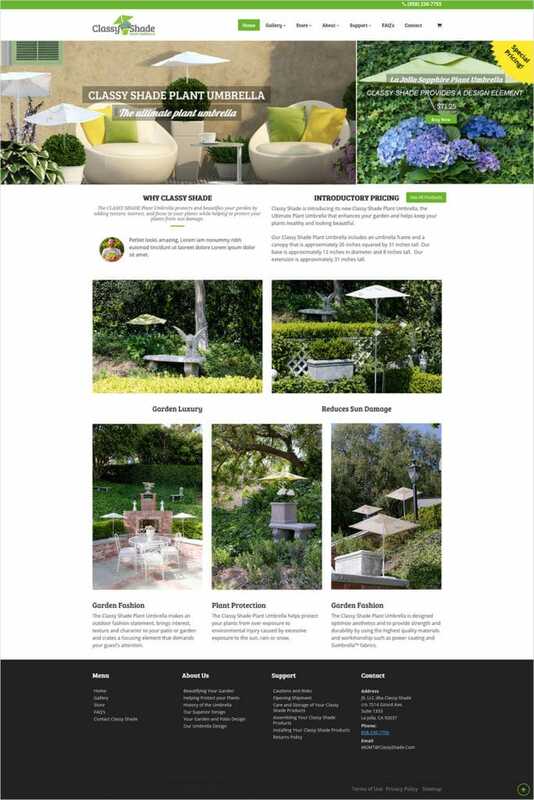 The website was developed to educate the gardener and patio lover of a new way to add beauty and protect their plant investment. 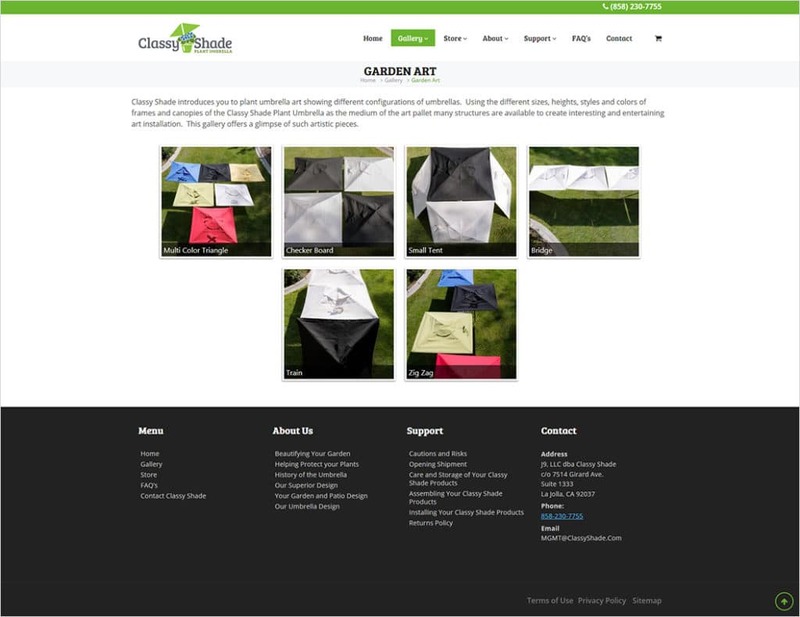 The site is simple, clean, and clear, and offers an intuitive way to make several purchase options.